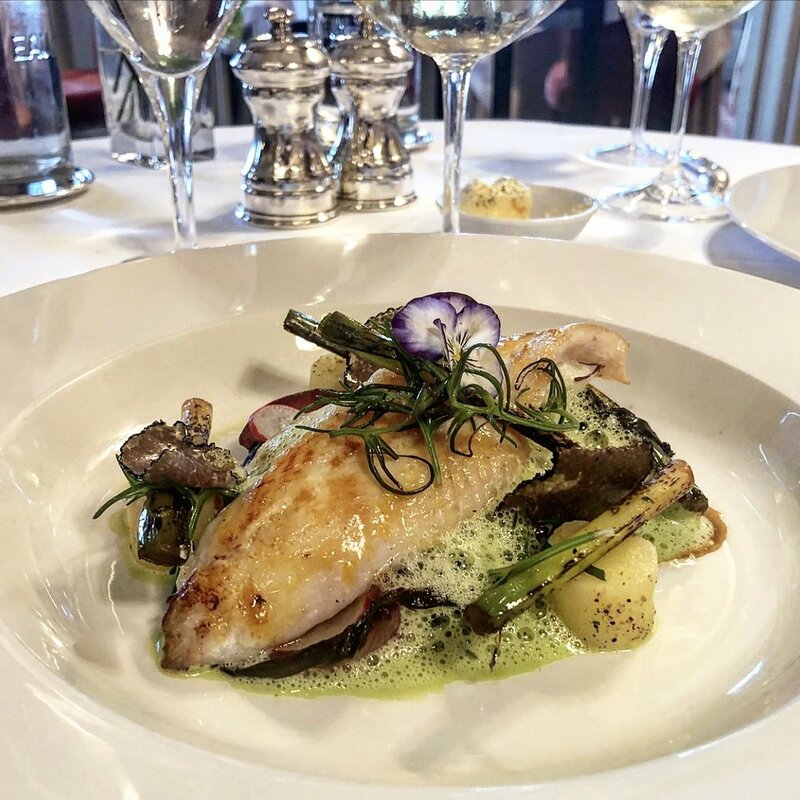 Over many years and many visits, Hambleton Hall has become one of our all time favourite restaurants, it never fails to invoke utter pleasure. 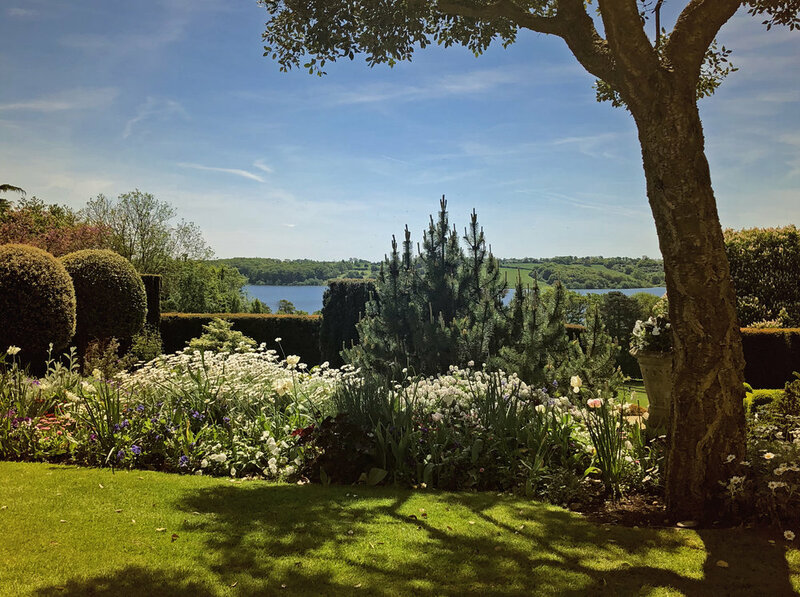 The setting is absolute English perfection, in Summer the large terrace provides inspirational, far reaching views over the manicured gardens and Rutland Water, whilst in Winter the house itself offers peaceful cosiness and elegance with glowing fires and ridiculously comfortable sofas. We arrived for lunch last week and as always, received the warmest of welcomes from staff and roaring hallway fire alike. Once seated in the luxurious lounge with its ever present and beautiful floral arrangement and another open fire, we enjoyed the almost immediate provision of perfectly made Bloody Marys and inspirational amuse-bouche. 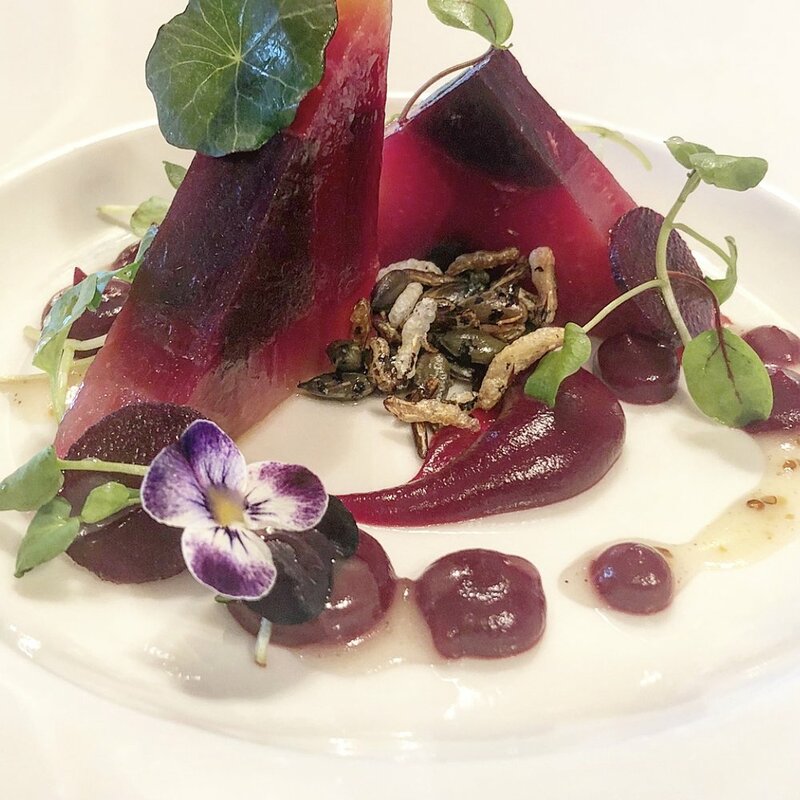 It’s hard not to try the Tasting Menu at Hambleton Hall, just to ensure you don’t miss anything, but you also have the A La Carte and superb value ‘Lunch for Less’ options, which are equally delightful. Chef Aeron Patterson and his team constantly renew the menus and without fail, always deliver some of the most accomplished food I’ve tasted anywhere in the world. The finest ingredients honoured and elevated to heady levels, perfectly balanced flavours and just the right portions to ensure you never leave wanting for more. 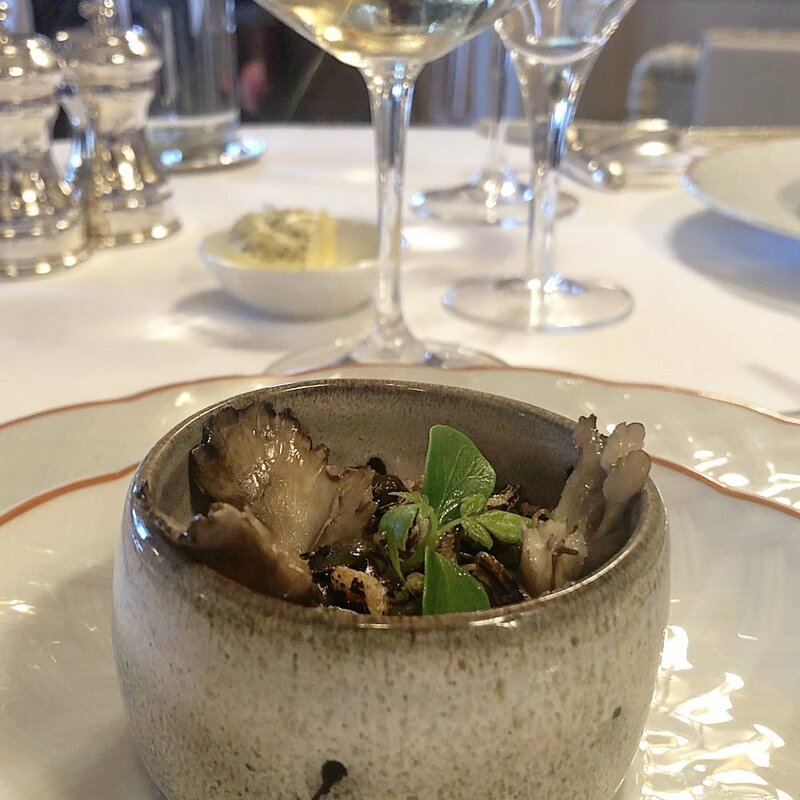 We started with a tasting of wild mushroom velouté which immediately provoked a smile and was an absolutely perfect match for the suggested bottle of 2015 1er Cru Montagny. 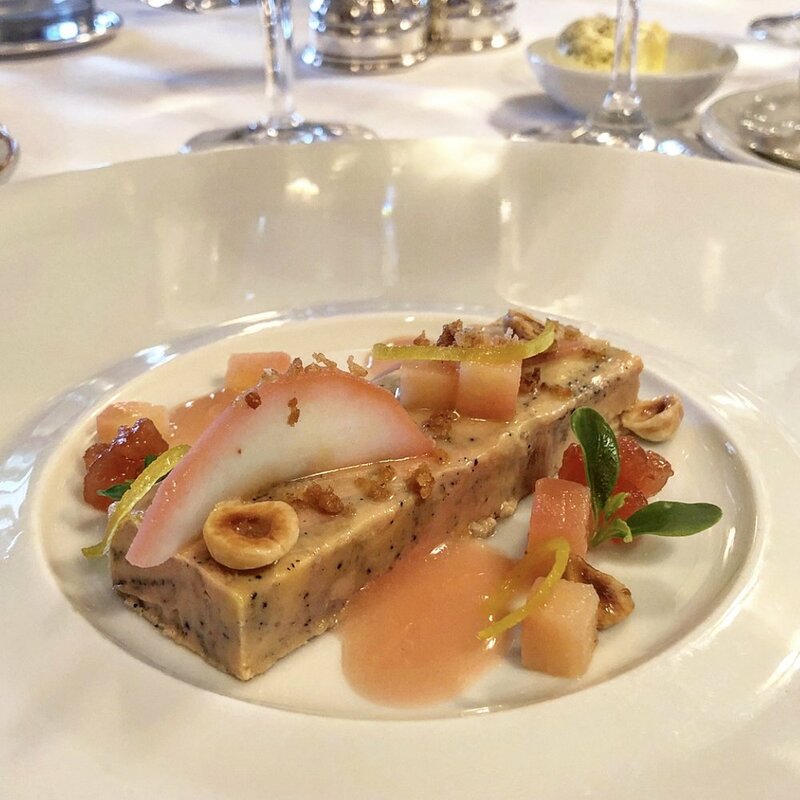 If you’re lucky enough to spot Paté de Foie Gras on the menu, order it, it is the most sublime Foie Gras you’ll ever taste, so silky smooth and full of taste you’ll never want it to end - on this occasion it was served with sauternes and verist jelly and walnuts. The fillet of Brill, leek, potato, watercress and truffle and the chocolate ganache with caramel ice cream all equally exceptional as were the terrine of beetroot, watercress and horseradish ice cream and slow cooked leg of Lamb with Mediterranean vegetables and Rosemary sauce my wife had. 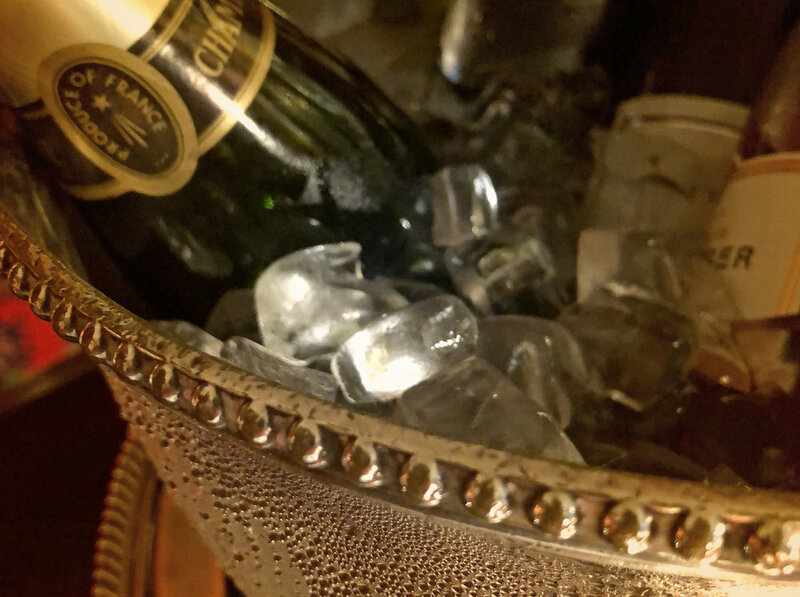 We moved through to the discreet bar where you're able to soak up the atmosphere and enjoy a relaxed coffee, chocolates and after dinner drink. Nothing ever seems too much trouble at Hambleton Hall, the Restaurant Director, Graeme is a real highlight and is always a privilege to meet, for the life of me I just don't understand how this place hasn't got 2 Michelin stars - it truly deserves them.